Wow! That name is a mouthful, but this is a beautiful journal deserving of a grand name. According to my browser’s translator, the English name for this would be the Pilgrim Travel journal. A friend of mine, Robin, recently visited France, and she brought this to me as a Christmas gift. Various things have kept us apart and only yesterday did we have a chance to exchange gifts. This is possibly the most amazing journal I have (and that’s saying something), so I decided to sneak in a quick review, although I haven’t had the chance to do much with the journal yet. The bad thing is that I believe it is not available in the U.S. or Canada. Possibly it can only be found in France. Everything I found on the internet was French. I couldn’t find much information, and everything is in French, so I’m relying on translators–always a tricky thing. 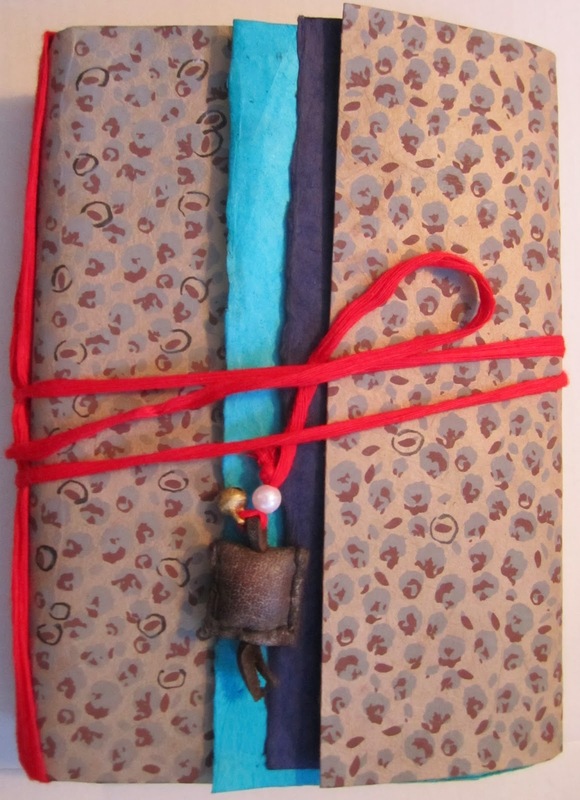 I can’t confirm it, but I know that most, if not all Lama Li journals are made with lokta paper (a paper handmade in Nepal), so I’m assuming this one is as well. The book is very different than anything I’ve seen and difficult to describe. I hope, with the pictures I can capture it for you. Cover: Handmade cardstock with flap. 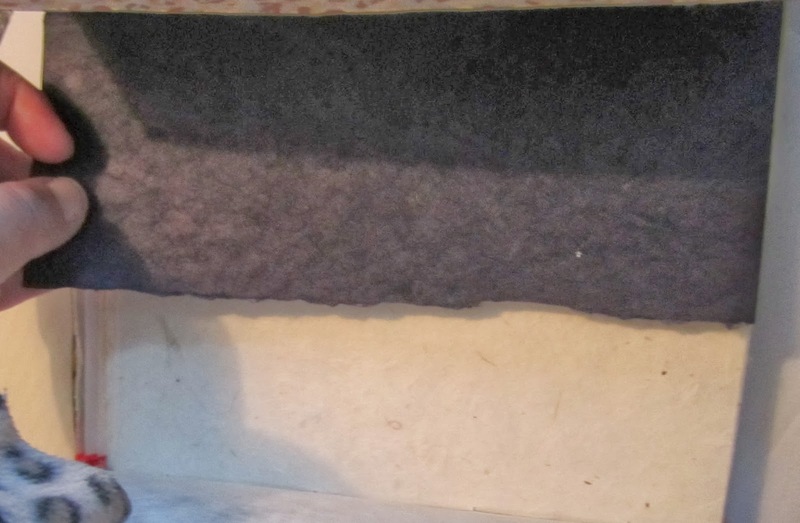 There are also two fold-over sheets inside the journal that flap over and become part of the cover, or they can be used to fold-over and create sections within the book. 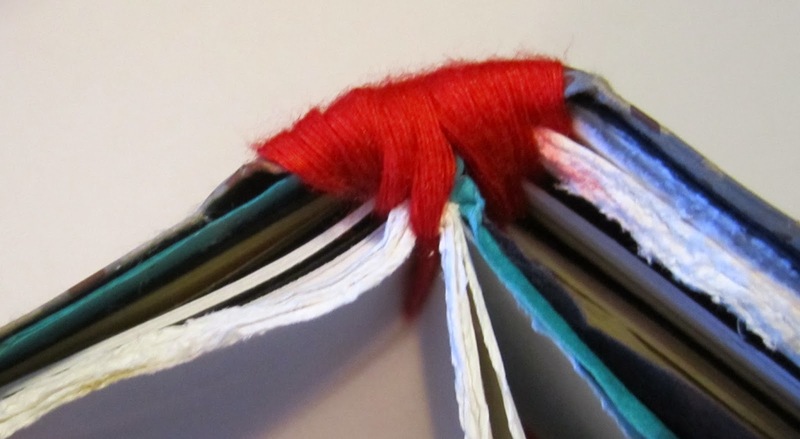 Binding: Sewn signatures bound to the cover with a red silk ribbon. The ribbon wraps around each signature to hold it in. 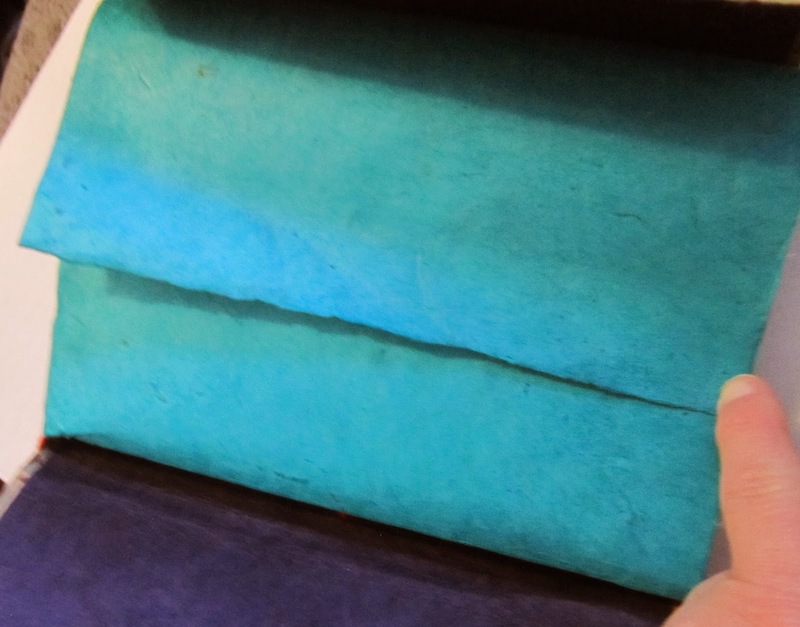 Paper: There are five different kinds and sizes of handmade paper (six if you count the teal paper used for the fold over section holder). I couldn’t get the texture to show up well in either scan or photo, but the first is a lightweight, semi-translucent and fibrous paper with some inclusions. The color is a natural off-white. It is torn on two edges and just screams handmade. 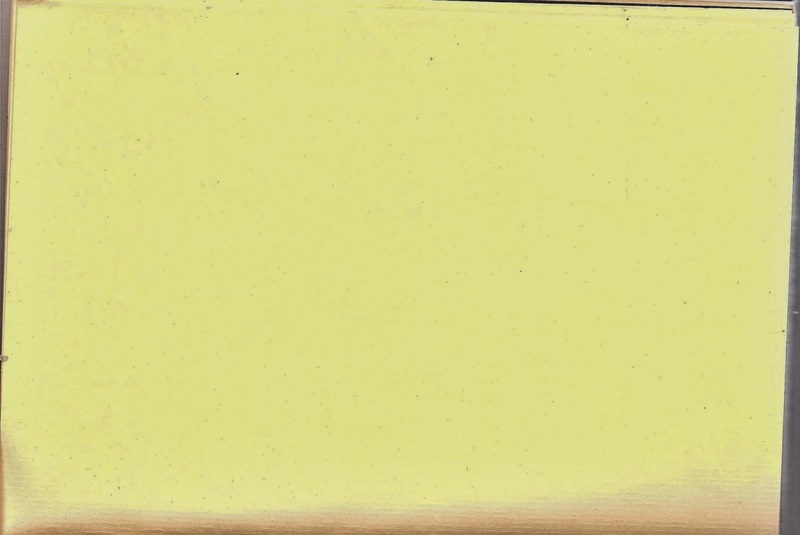 The second paper is not as yellow as it shows on my screen. It resembles manila cardstock but is much lighter and softer. There are no fibers or inclusions. The edges are all cut square. The third paper is heavier than the first two, but has the same kind of fibers running through it as the first. There are only 10 pages of this in the journal, and they serve as an effective contrast. The edges are cut square.  The fourth paper is a thin, white stock with a harder surface. I can’t feel the texture, but there is a faint linen-like pattern running through the weave. There are no fibers or inclusions. Edges are cut square. The fifth paper is the heaviest and softest. It has fibers and inclusions, but less so than the other fibrous papers. It also has a linen-like imprint that you can feel, though it isn’t deep. All the edges are hand torn. 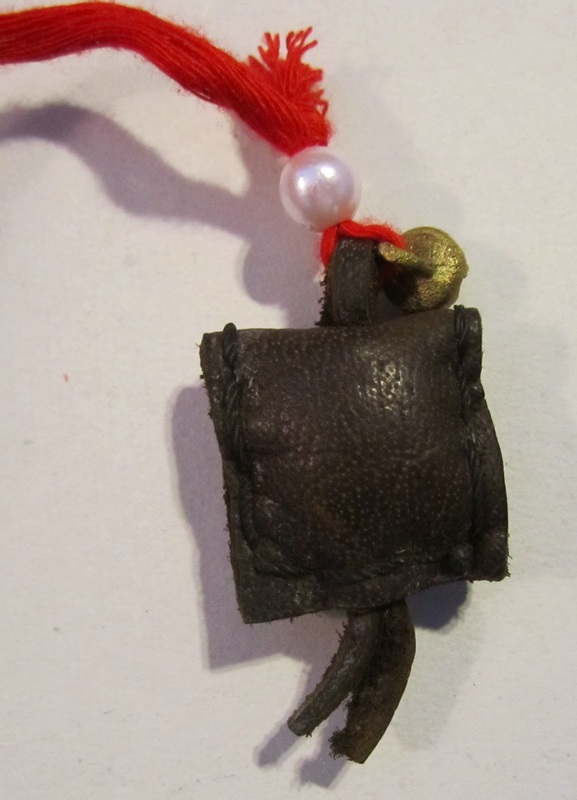 Extras: Red Silk Ribbon fastening and leather amulet with pearl and bell. I haven’t had the chance to play with the journal much, but I knew if I didn’t do this review now, I wouldn’t get the chance for quite some time. Over all, these are papers with ‘character’. They are hand made, with lumps and uneven weave in some places, though not as much so as I’ve seen with other hand made paper. I’m going to guess the papers are not fountain pen friendly. I’m sure the ink would feather on at least some of the papers. I believe pencil and color pencil would work well though the color would not go down evenly. Watercolor might be possible, but the paper would absorb it quickly so washes wouldn’t move. But these are such beautiful papers that they will lend elegance to almost any medium. They challenge you–they do. But they also inspire by their very nature, and give you effects you couldn’t achieve with other papers. (I base this off of my experience with other Lami li lokta journals – I have several.). The book lies flat, but has spring, so you have to hold it down as you work. You need to decide what to do with the silk ribbon and amulet so that it doesn’t catch on things or get in your way. I’m on a mixed media kick and I was working on a project for another review. I had some pieces left, and since the technique is easy and quick, I decided to give it a try in this journal. I found this technique in a book called ‘Flavor for Mixed Media: A Feast of Techniques for Texture, Color and Layers‘ by Mary Beth Shaw. It’s a fun way to test out triads. You choose three primary colors, a red, a blue, and a yellow. You paint squares with each color, overlapping, but keeping some areas pure. This gives you a feel for how the colors work together and what colors (and what mud) they’ll make. 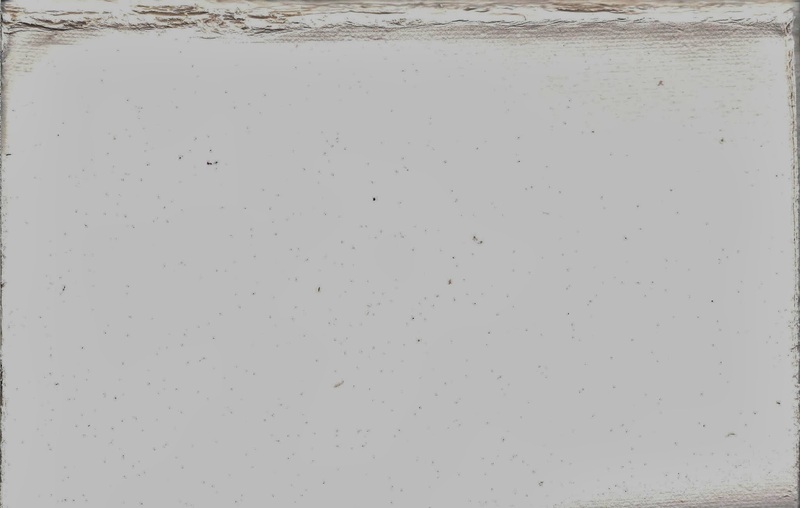 You continue overlapping until the page is entirely covered. 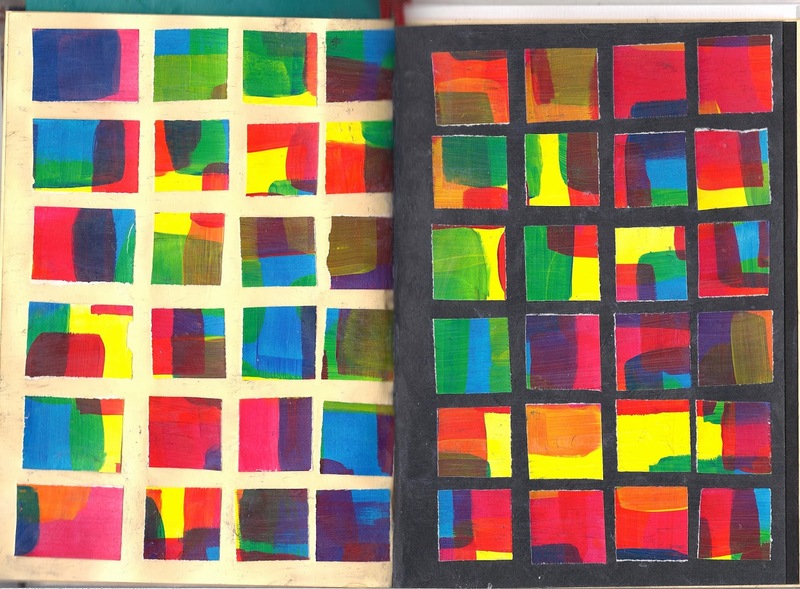 Afterwards, you cut your painting into small squares, and glue the squares onto another piece of paper. It isn’t a puzzle. You don’t try to match up the squares. The fun is seeing what you get gluing them down at random. It creates a surprisingly strong appearance. I chose one of the spreads where I had two kinds of paper, using a glue stick to glue the pieces down. Then I went over the complete spread with Mixed Media adhesive. This will give me an even surface to work on if I decide to add to this later. Both papers held up well to the adhesives and the weight of the glued pieces. 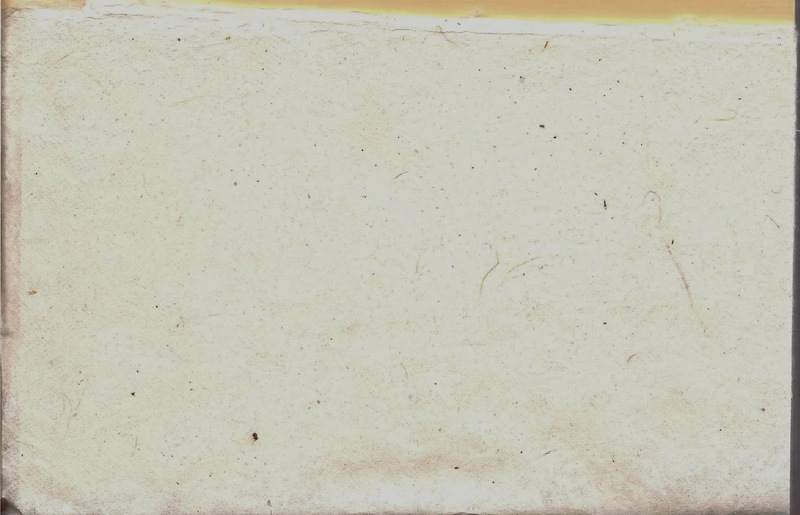 The ivory paper (#2 above) shows the white of the squares on the back, and has a slight dimpling along the rows. 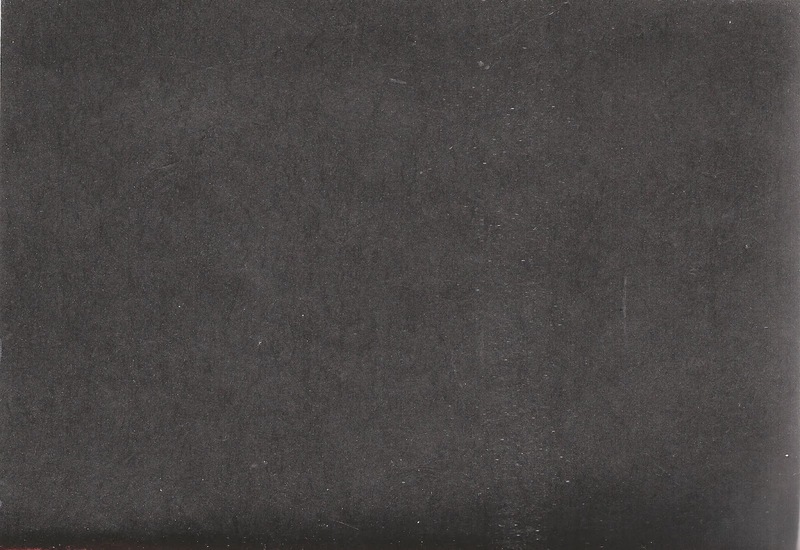 The black paper has no buckling, curling or dimpling at all. It held up extremely well. I’m going to try and stay with projects that will not cover the page entirely and will use the paper itself to enhance whatever is done. This is a unique journal, and a feast for the eyes and to the touch. Even without writing, drawing or embellishment of any kind, it still draws you to open it and examine each page. You could put this journal on a coffee table, without adding to it at all, and everyone who saw it would pick it up and fall in love. Actually using it has challenges, as I’ve mentioned above. If you approach this as a journal for flawless writing, perfect drawings and specific techniques you’ll be frustrated. If you experiment, celebrate the textures, and learn how each paper works, you’ll have a treasure beyond compare. This is my favorite kind of journal. Thank you so much, Robin. You know me so well! While I’m here, I want to show you the beautiful tile she made for me, as well. 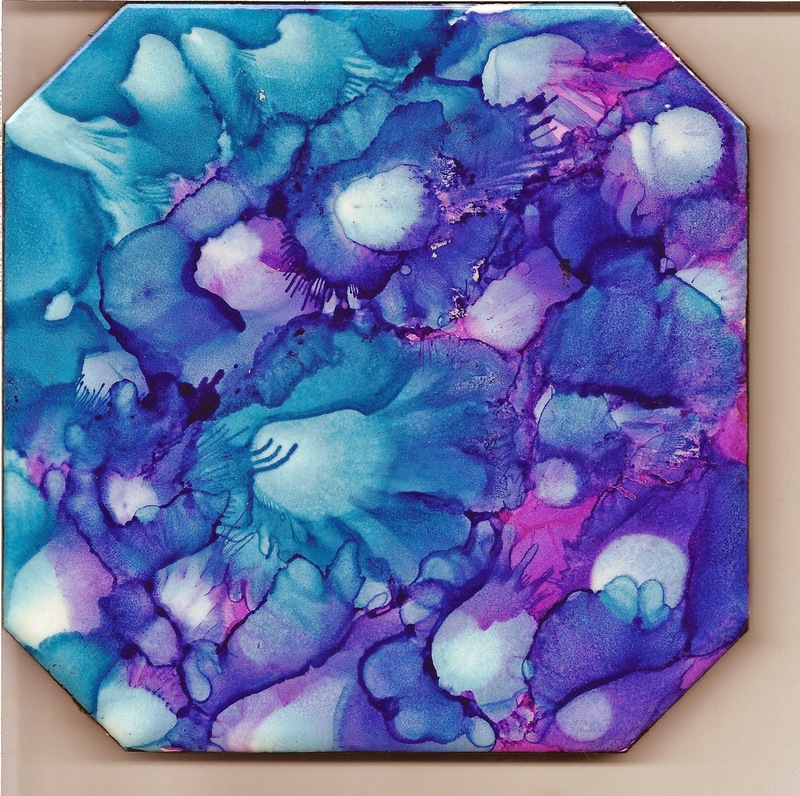 It is done with alcohol inks and is gorgeous! I'm truly blessed having a friend that knows me so well!